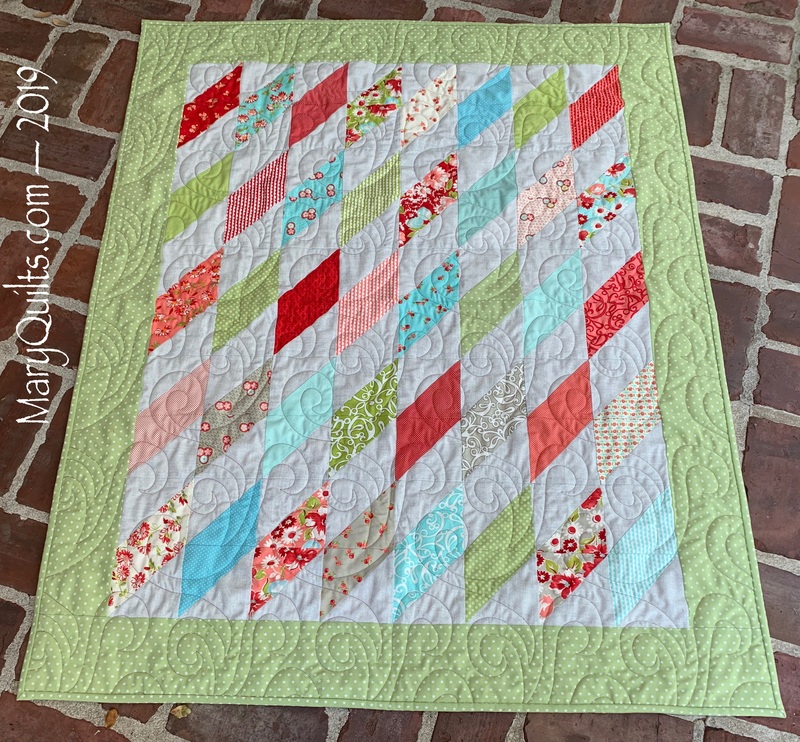 I love making quilts like this- so quick and easy and they have a great impact! Congrats on a finish that is SEW sweet!!! Really cute quilt. Thanks for telling us what pantograph you used. adorable! what is the approximate finished size? interested using one lone charm pack. That’s a cute little quilt!